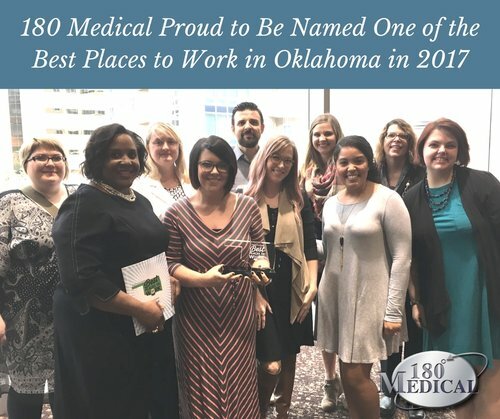 For the 8th year, 180 Medical was once again named one of the Best Places to Work in Oklahoma in 2017. We were honored to find out at the recent Best Places to Work banquet that we were ranked 7th among large employers in the state. The Best Places to Work awards were created by the Oklahoma-based publication, The Journal Record, in combination with the Best Companies Group to recognize the Oklahoma businesses that go above and beyond. Many industries were included in the deliberation, including finance, healthcare, information technology, manufacturing, non-profit, and more. In a detailed process of collection of data from the many entrants and analyzing anonymous feedback from employees in surveys, the awards are given based on the workplaces which clearly exhibit the most satisfied employees and the best practices to create a positive, safe culture. We’re happy and proud to stand among the best in Oklahoma! Are you seeking a job where you can develop your skills while helping others in a positive, team environment? Apply to be a part of the 180 family at www.180medical.com/careers. 180 Medical honored and celebrated our employees in true 180 style for Employee Appreciation Day 2018. Find out more about some of the fun we had! 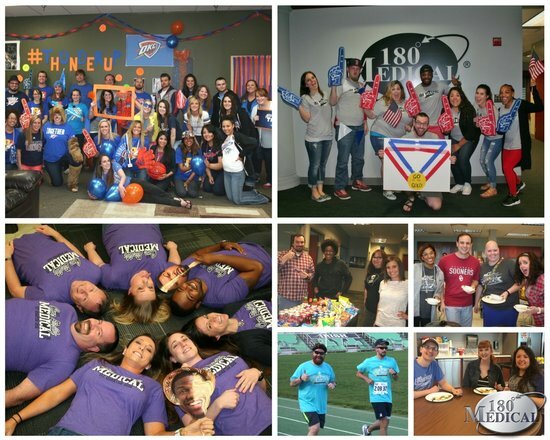 180 Medical has ranked for the sixth year as one of the Best Places to Work in Oklahoma. Learn more about our company and why we are consistently recognized as one of the best employers in the state. Find out why 180 Medical has been formally recognized as being a great employer for 5 years running!